The Group seeks to take advantage of pre-distressed or fragmented secondary opportunities by being an active agent in creating value through consolidation and refinancing of Green Energy, a sector that is rapidly growing due to increased global energy demands. Green Energy projects provide uncorrelated investments in real assets, exposure to the growing alternative energy sector, and tend to offer relative stability of revenues over the long term with the strong prospect of favorable exits. The IGO fund is a closed-end fund launched in September 2015. 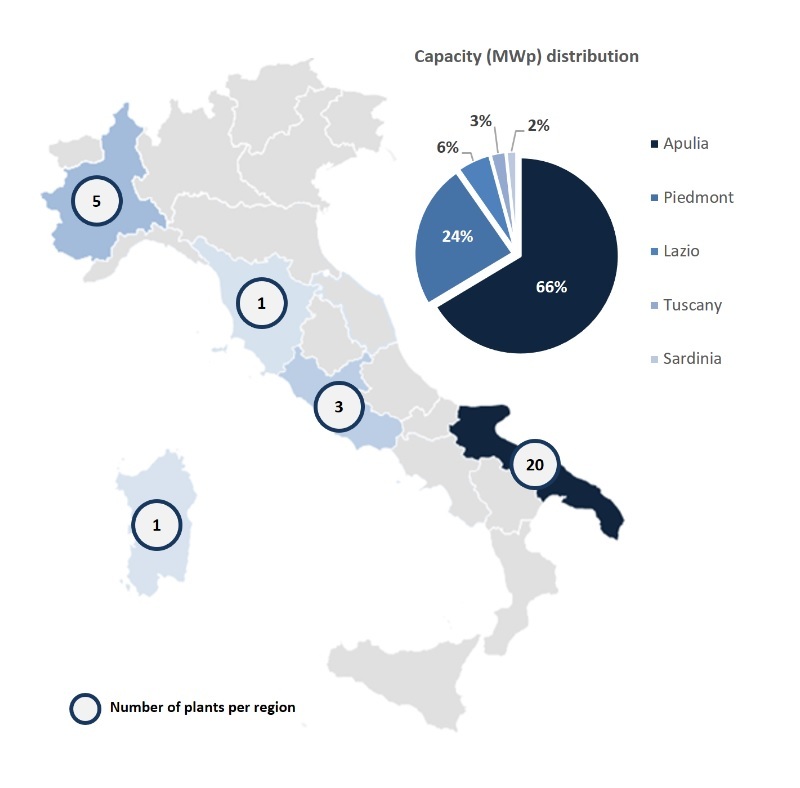 In one of the Italy’s largest solar transactions of 2016, we concluded a €127 million acquisition of a portfolio of 11 solar energy companies (located in 30 separate sites) owning photovoltaic installations spread across Italy with a total output of 34.2MW. iAM Capital advised, arranged, and participated in the equity financing. We also sourced and negotiated third-party mezzanine financing, and consolidated the existing senior debt finance at significantly improved rates and terms.